Betterment is an investing website that tackles the perceived complexity of investing head on. I hear it time and time again from the readers of Money Q&A and even my own family members that they simply are scared to invest because they think that it is too complicated. Betterment works to break down that notion and makes investing a simple process that is goal oriented. While Betterment is essentially a stock brokerage firm, it takes the title to a new level targeting the segment of potential investors that have been sorely lacking representation, the new or novice investor. While even experienced investors can receive a lot of value from the company’s approach, the company’s niche is the new investor who may be taking that first step into investing. Betterment is a website to help you start investing whether you are a veteran or a novice investor. Novice investors will receive the most bang for their buck. Even if you think that you do not have enough money to invest, Betterment has an answer to help you. You can invest as little as $25 per month to start, and their automatic deposits make investing a snap. Betterment.com will even give you $25 for just trying out their service too! If you do not know where to start or which mutual funds to invest in, Betterment helps you get started with their pre-built mutual fund portfolio. You simply choose the allocation between stock and bonds that you want to invest in. Betterment’s managers have chosen six electronically traded funds (ETFs) that mirror both the Dow Industrial Average, S&P 500 index, and the broader stock market. And, they have also chosen two bond ETFs that invest in inflation protected bonds as well as short term bonds. When you are invested in stocks, the stock section of your Betterment portfolio is invested in the ETFs listed above in the percentages listed as well. When you invest in bonds through Betterment, you are investing in the following two bond funds equally split down the middle. 50% iShares Barclays TIPS Bond Fund (TIP). When you invest with Betterment, the service charges you a low annual management fee to invest your money instead of a commission like you would receive from a typical brokerage firm. Betterment charges 0.3% to 0.9% of your average account balance each year. The percentage fluctuates depending on how much money you invest and have in your account. If you have $1,000 investing with Betterment, you will pay $9 in fees for the year to use their service. This is an incredible discount when it could cost you that much for a single trade at some discount brokerage firms. There are no minimum balances that you have to keep. There are no transaction fees and no hidden costs. Betterment was built to make investing transparent, and that is apparent in their fee structure. Here is a more detailed breakdown of the percentage of fees that you will pay based on your account balance. $500,000+ has a fee of just 0.3%. Betterment is a goal oriented investing company. It is not for day traders, and you will find its website further away from that purpose than anything. As soon as you sign up for an account, you are asked about your investing goals. And, from that time forward, Betterment focuses your attention and investing to obtain those financial goals. While you can have multiple investing goals, Betterment has you also focus on one primary goal and list a date that you want to accomplish it. No matter if you want to build a fully funded emergency fund, send your kids to college, or add to your retirement nest egg, Betterment will continue to help you focus on your goals and continue to chip away at them with sensible investing in order to achieve the goal. One of the best features of Betterment is their graphics and tools that help you visualize exactly how your investments can possibly help you accomplish your goals if you stick to a certain investing game plan. Their tools and sliding bars help give you a great visual of how changes will affect your investments over the long-term. It is very simple to open an account with Betterment. It took me less than ten minutes if that long. After signing up for an account, you connect a bank account to your Betterment investing account. You can choose the goal that you are investing for and then you pick a time when you want to accomplish that goal. You also set your asset allocation between stock and bonds. You can see the screenshot below that I have 100% of my account investing in stocks (I have bond mutual funds with another brokerage firm). After you set up your account and your asset allocation, Betterment handles the rest by investing you in their portfolio mix of exchange-traded funds (listed above). You can even set up automatic investments that transfer certain amounts from your linked bank account into your Betterment account to continue your investing towards your goal. You can see a graph showing you your progress and where you are projected to be based on historic market returns. This is a great way to invest in the stock market using dollar cost averaging. See How It Works! Also, if you are considering joining Betterment , you can get a 30-day free trial to see what it is all about and whether its investment approach is right for you and your needs. Betterment: Free Sign up + $25 Bonus! Start now! Betterment is very different from a standard brokerage. It is designed to be simpler, easier to use, and more aligned with your individual goals. If you have checked it out yet, consider using the free trial to give it a shot. Many individuals who are saving for the future prefer to do so in an individual retirement account (IRA) because of the tax savings involved. And now, Betterment is offering its customers to do the same thing and allowing them to invest in IRAs. Betterment offers IRA to its customers now. If you haven’t heard of Betterment or of a Betterment IRA, it is an online brokerage that is trying to simplify the way investing is done by automating the process and making it easy to invest in a diversified portfolio. If you are considering saving for the long term, you should take advantage of an individual retirement account. Betterment offers both traditional and Roth IRAs and offers all of the same perks as a normal Betterment account. If you want to get a tax break now and don’t mind paying taxes when you retire, you should consider going with a traditional IRA. If you want to have tax free withdrawals in retirement and want to use the after-tax money now, then go to a Roth IRA. Betterment even offers 401k rollovers into a rollover IRA. So, you can move that 401k retirement plan from your old employer over without any hassles. It is a great option for moving your money especially if you have changed jobs recently. You may want to consider a partial rollover if you are still with your current employer. Check with your human resources department to see if your plan allows it. Get a $25 Account Bonus when you sign up for Betterment. Betterment is trying to do things differently by automating the process, keeping your portfolio diversified automatically, and keeping things simple. Betterment also offers automatic deposits, which makes saving for retirement easier than ever. For example, the current deposit rules for IRAs are that if you are under 50, the maximum deposit is $5,000 per year. If you are over 50, it jumps to $6,000 with a catch-up contribution. So, if you wanted to take advantage of Betterment’s automatic investing, you could invest $416 per month if you’re under 50, and Betterment will handle the rest. Once the money was deposited, Betterment would automatically invest it, make sure that your portfolio was diversified, and rebalance as needed. Quick, simple, and easy…that is what Betterment is trying to do by offering you individual retirement accounts. Get a $25 Account Bonus when you sign up for Betterment. Betterment is a brokerage that is trying to make investing simple, easy, and automated by asking you a bunch of questions to get to know your goals and risk tolerances, and then creating an automatic portfolio to match your needs. Get a $25 Account Bonus when you sign up for Betterment. Betterment is like a mutual fund custom tailored to your needs, except that it is a fully diversified portfolio at a brokerage. The system is designed to meet your needs and investment amounts. You can invest nothing up front, as long as you’re making monthly deposits, or you can start with a $10,000 investment. The great thing about Betterment is that you can always withdraw your money at any time, and at no cost. Betterment offers a low fee structure as well, especially compared to other financial services firms. When it comes to the best investment strategies, many people are drawn to robo advisors for investing because these high-tech algorithms are viewed as some of the most intelligent mechanisms for efficiently allocating funds. While this seems to be true in many circumstances, it’s not always enough to leave 100% of your investment strategy in the metaphorical hands of artificial intelligence – sometimes, you want that personalized, human touch to guide you along the way. For this reason, major robo advisors like Betterment have started rolling out custom financial advice packages, to bridge the gap between human and robotic advisors. Each of the new packages from Betterment includes at least one 45-minute phone call with a professional planner (who works in your best interest, as opposed to hard-selling you on financial products they could gain commissions from). Pricier packages may include multiple phone calls and personalized action plans, but it’s important to remember that all of the new advice packages from Betterment still cost just a fraction of what you’d pay for the same service from a traditional advisor. Whether you’ve never set a budget before or you’re financially savvy but new to Betterment, the $149 Getting Started Package is a great way to discuss your new account with a professional financial expert. With this package, you’ll be able to spot weak points in your investment strategy and patch up any loopholes that could potentially affect your returns on investment. This is ideal for people who haven’t used financial planning services at all before (robo advisor or otherwise) or people who simply want to make sure their Betterment accounts are set up for maximum gains. With the $199 Financial Checkup Package, you’ll get a professional review of your current portfolio and investment strategy. A certified financial expert will examine your Betterment accounts and develop a plan of action to improve your financial situation across the board. It’s worth noting that Betterment’s professional planners are required to focus on the customer’s needs, first and foremost; if your financial checkup suggests you should be paying off high-interest debt or maxing out your 401(k) before depositing more money into your Betterment accounts, then your financial planner will likely advise you to prioritize your non-Betterment obligations until they’re paid off or maxed out. Are you a parent, grandparent or guardian to someone who plans to attend college within the next 4-18 years? If so, then it’s extremely important to start saving for higher education early in order to minimize the amount of loans you or your dependent will need to take out in order to pay for their college degree. Thankfully, Betterment now has a College Planning Package ($199), which is designed primarily for adults who want help with navigating the complicated world of college savings plans, student loans, and so on. Your financial planner can also help you determine which tax deductions and credits you could qualify for (e.g., up for $4,000 for tuition and fees each year). Are you planning to propose in the near future and want to make sure you and your future spouse are on the same page when it comes to managing finances as a couple? Or have you already married and now you want advice on combining finances, maximizing tax benefits, and planning for future family expenses like buying a home and/or having a child? If you and your significant other want to start off your marriage on the right foot, then you can’t afford to miss out on Betterment’s Marriage Planning Package. This plan costs $299 and includes two, 45-minute phone calls with an expert financial advisor, who then develops a comprehensive, customized financial plan for you and your spouse to implement on your own. Considering that money is one of the biggest causes of conflicts in romantic relationships, it’s absolutely imperative that you maintain high degrees of financial transparency in your marriage! Last but not least, Betterment has its own Retirement Planning Package, which includes the typical 45-minute phone call in addition to a month of expedited access to your financial advisor (via email/chat). This package is ideal for anyone who isn’t 100% clear on their retirement planning goals, and you want to make sure you’ll have more than enough money to sustain yourself during your golden years. Even with a higher price tag of $399, the retirement planning package is undoubtedly worth the cost because 1) it’s still much more affordable than similar packages offered by traditional advisors, and 2) this amount pales in comparison to the amount of investment gains and tax advantages you could miss out on over the course of your working life, if you were to try and save for retirement without any professional guidance. Are Betterment’s New Advice Packages Worth It? There are countless advantages to investing with robo advisors, and Betterment’s new advice packages finally overcome consumers’ main concerns with robo advisors: the lack of human interaction and personalized support. Even if you’re a pretty financially savvy person, major life events like college, marriage and/or retirement could nevertheless benefit from the low-cost professional guidance and customized advice offered by Betterment’s new advice packages. Betterment allows anyone to start investing with only a little bit of time, disposable income, time to monitor the stock markets, and expertise. 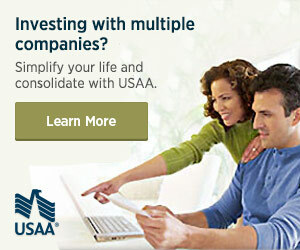 You do not have to be a financial aficionado to invest with Betterment. In fact, Betterment is designed for those whose financial knowledge may not be as high as it should be. Betterment is a resource to educate investors to reach their financial goals. If you are an experienced investor, you may still benefit from Betterment’s service as well. Betterment’s website offers an excellent visual and tracking component to your investments to help keep you on track. I love that this service allows me to put both long and short term cash investments to use. Now that you’ve used them for a while what do you think about them? Are you still happy with the service they provide? I want to bring this to the attention of clients of betterment that betterment charges a fee up to $400 if you want to do a direct (in-kind) transfer from betterment to another brokerage. I have been trying to do a direct transfer of Roth IRA from betterment to another brokerage firm and was quoted this amount. This fee is also listed in their customer agreement in section 23. Please be aware that your only option could be an indirect roll over if you don’t want to pay $400 in transfer fees. Betterment does not openly advertise this fee, which I think they must do when they list any or all fees on their website.